In addition to the striking and takedowns you’ll find in the San Shou training, we also offer ground fighting and submissions in our No-Gi Jiu Jitsu classes. The ground may be the end for most, but in Jiu Jitsu, it’s only the beginning! 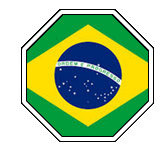 Training is based on the techniques and concepts of traditional Brazilian Jiu-Jitsu, and the fundamental principles remain the same. No-Gi Jiu Jitsu has a modified set of grips to compensate for the lack of a uniform (Gi) to hold on to. No-Gi Jiu Jitsu is dynamic and extremely practical in real-life, as well as in the cage. In fact, much of the grappling you see in mixed martial arts (MMA) today is learned via No-Gi training. Gi’s are no longer worn in MMA fights, and our No-Gi Jiu Jitsu classes will ensure you are ready to roll when you step on the mat, or into the cage. You’ll learn to not only apply, but also how to defend against chokes, joint locks, guards, mounts, transitions, reversals, sweeps and escapes… You’ll learn every aspect of the submission game! Brazilian Jiu Jitsu taught by one of Fabio Novaes’ top students, and FIGHT TEAM LLC’s official Jiu Jitsu Coach – Coach John.